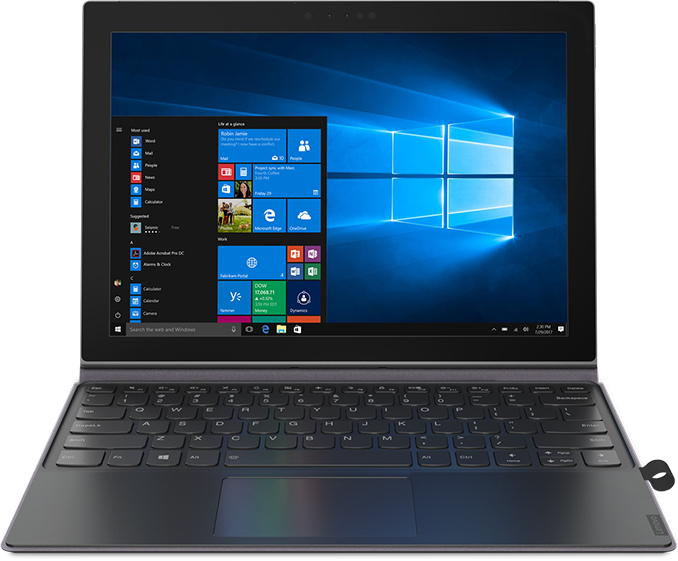 LAS VEGAS, NV — Lenovo today introduced its first Qualcomm Snapdragon 835-based 2-in-1 notebook that runs Microsoft Windows 10 S, has a built-in Gigabit LTE modem and promises up to 20 hours of battery life. The Miix 600 is Lenovo’s new attempt to capitalize on Microsoft’s latest effort to install PC version of Windows on ARM. The Lenovo Miix 600 is a 2-in-1 detachable notebook featuring a 12.3” WUXGA+ LCD that has a 15.6 mm z-height when outfitted with a keyboard. Since it is based on Qualcomm’s Snapdragon 835 SoC, many would think of the Miix 600 as of a tablet with an add-on keyboard and a very big and fat 48 Wh battery. 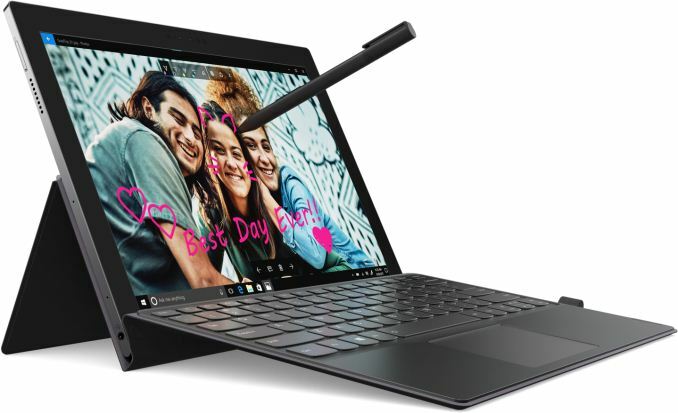 Nonetheless, the Miix 600 is indeed a PC: it runs Windows 10 S and is outfitted with 4 or 8 GB of RAM, one USB Type-C connector, an SD card reader, and up to 256 GB of NAND flash UFS storage. Just like other modern Windows 10-based systems, the Miix 600 supports Cortana voice assistant and is outfitted with an IR-enabled webcam that supports Windows Hello facial recognition for easier logins. 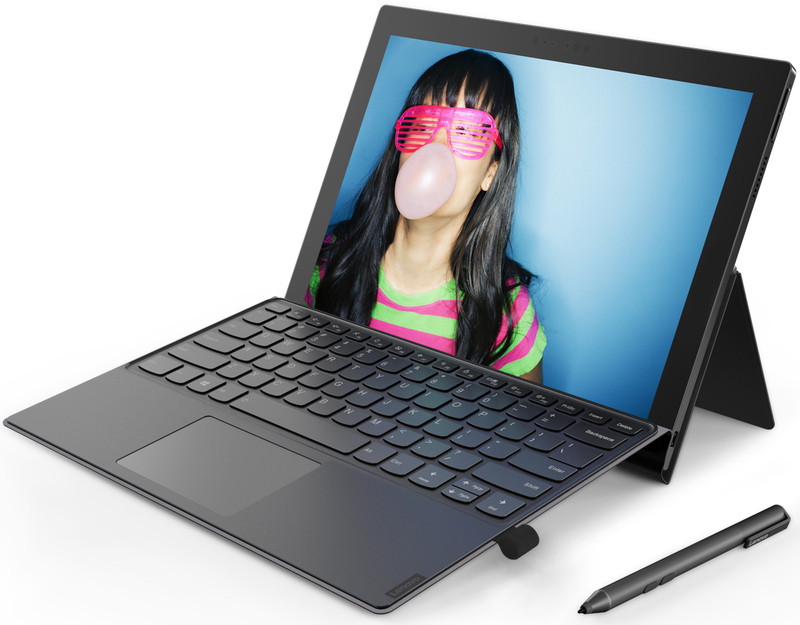 Two key features of the Miix 600 are connectivity — it supports 2x2 802.11ac Wi-Fi, Bluetooth 4.1 and Gigabit LTE modem, and battery life — being powered by a mobile SoC and equipped with a laptop-class accumulator, it can playback videos from its local storage for 20 hours at 150 nits brightness. In a real-world situation when used to run productivity applications and is connected to the Internet using its built-in LTE modem, the Miix 600 will hardly endure for that long, but the key thing here is that it can last longer than most reasonably-priced ultra-portable notebooks due to its ARMv8 CPU architecture. In fact, the ARMv8 processor architecture is both advantage and disadvantage of the Miix 600. On the one hand, the Snapdragon 835 is less power hungry than most x86-based SoCs from Intel. On the other hand, in Windows 10 S environment it can only run either specially-optimized applications, or perform binary translation (or another form of emulation) for 32-bit x86 applications (64-bit x86 apps are not supported) which naturally results in reduced performance. 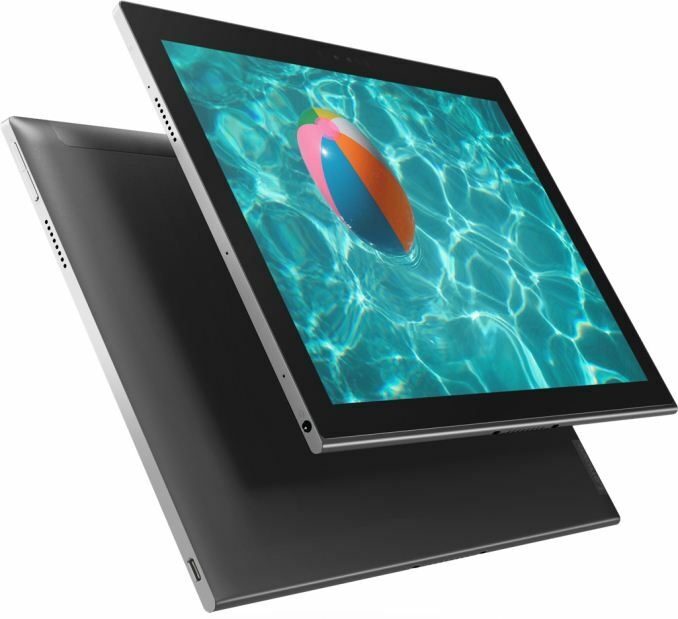 Dimensions Width 293 mm | 11.5"
Height 210 mm | 8.2"
Lenovo expects its Miix 630 systems to hit the market in March or April with prices starting at $799 (a stylus with 1,024 levels of sensitivity is included). The MSRP of the 2-in-1 looks rather high as there are plenty of competitive Intel-based hybrids sold under $800. Evidently, Lenovo aims the Miix 630 at those who need a combination of Windows 10, Gigabit LTE and a very long battery life for less than $1000. Today, such people simply do not have any comparable options based on x86. Hey, I have the 9250. I love that thing, I use it to play games on the airplane and all sorts of media consumption. You are right though, battery life is awful. Probably less than half of what dell promised. I don't know why you believe that, but you're flat-out wrong. If you want full Windows 10 Pro, you can upgrade (for free if it's like the other SD 835 releases recently). No VM required. They ported Windows 10 to ARM, and "S" isn't the only version available. If you upgrade to Pro you can run Win32 x86 software, too, via the Windows on ARM translation layer. Obviously performance won't be as good as native ARM compiled software, but it's a hybrid approach rather than pure emulation so it works surprisingly well. All of the APIs are native so that helps a lot. "I don't know why you believe that, but you're flat-out wrong. If you want full Windows 10 Pro, you can upgrade (for free if it's like the other SD 835 releases recently). No VM required. They ported Windows 10 to ARM, and "S" isn't the only version available. If you upgrade to Pro you can run Win32 x86 software, too, via the Windows on ARM translation layer."